Original calligraphy by Janet Smith - A3 prints on heavy card, signed by the artist. Delivered in postal tube. All £25 plus postage (£5 UK, £10 Europe, £15 Rest of world). Please contact Oakleaf Calligraphy here to place order. ​Want something else? 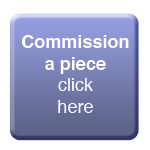 Why not commission a piece here. Perfect for those who sail or love the sea, or simply have an affection for the Shipping forecast! This piece, in shades of blue and green, includes facts about the forecast, along with the iconic names and a map of their locations.